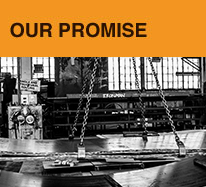 Since 1994, Double R Steel has built a reputation for on-time delivery and quality workmanship in steel plate rolling, structural steel rolling, plasma cutting, bevelling and welding. It's a tradition we continue to honourand fulfill today. Click here to see our Video Gallery. Double R Steel is a medium-size shop. We don't do everything for everyone. But what we do, we do well, as evidenced by loyal customers who have been with us for more than ten years. The reason is simple. We work hard to understand your needs and we work hard to meet your needs. We understand 'drop dead' delivery dates, and we meet them. 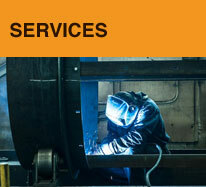 We understand quality expectations, and we meet or exceed them. 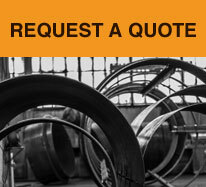 We understand that a quote is a promise, and we keep our promises. Our equipment operators are very particular, and their initiative is reflected in the quality of their work. Good enough isn't good enough for these guys. In April 2017, Plasfab was acquired by Double R Steel. Both companies have a unique market niche. When together, we can offer a broader range of services and capabilities to better serve the needs of our customers. 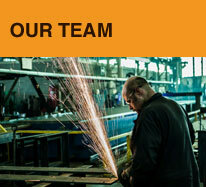 Together, we have more manpower and space; and better equipped to respond to our customer's needs. Combined, we now offer a much more comprehensive service with the ability to become a single-source-solution for our commercial and industrial clients. Part of our overall growth strategy is to better serve the needs of our current and future customers. Call or email me and let's see if Double R Steel and Plasfab can fulfill your steel fabricating and prefabricating requirements. We had been using another supplier for our rolling, but when we needed improved turn around time, they couldn't deliver, so we looked around and settled on Double R after exploring a few others. I think their quality is pretty good and more importantly, it's ready on time. Pretty much everything they have done for us, they've done very well. There are very few companies that Cantec is comfortable with subcontracting work to and Double R is certainly one of them. Double R does our yokes and nobody else can do them and they do a very good job of it. You have an excellent staff at Double R. We like dealing with you and have recommended you to others who need top quality rolling done. Not the lowest price, but excellent quality and excellent service.